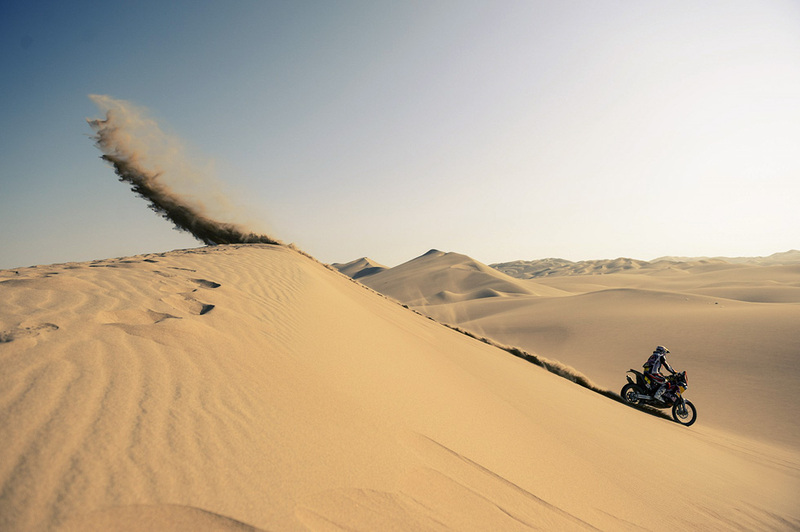 Red Bull KTM factory rider and reigning title-holder Cyril Despres on Monday assumed his natural habitat at the head of the overall standings in the 2013 Dakar Rally. 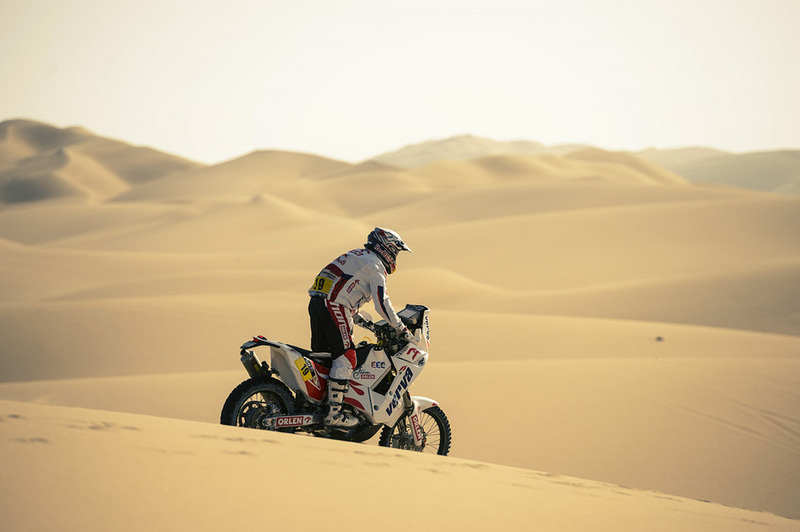 Despres, who finished third in Stage Three, vaulted from fifth overall into the premiere place on Day Three of this marathon event. Despres now holds a 2 minute 51 second overall lead over Chaleco Lopez (KTM) while evergreen KTM rider Pal-Anders Ullevalseter of Norway in third place, four minutes 59 behind the leader. 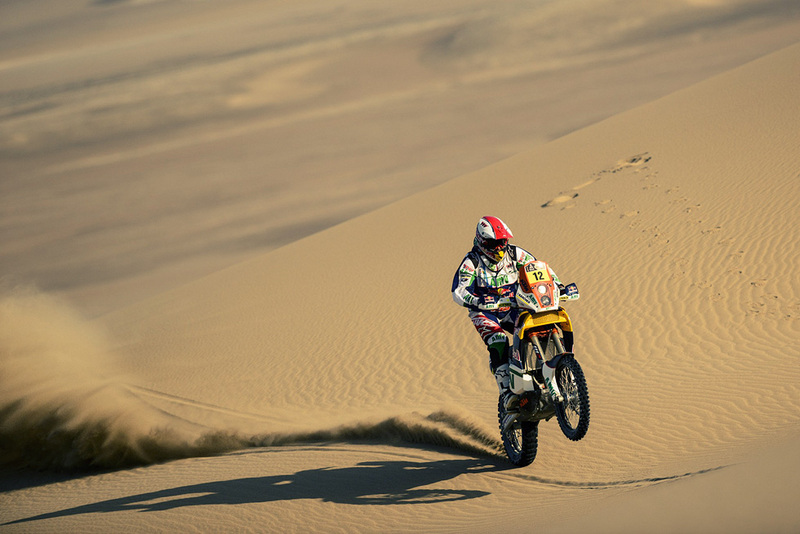 Lopez made a big charge from back in the field to win Stage Three ahead of Paolo Goncalves of Portugal while Despres was third. Jakub Przygonski of the KTM Factory B Team had a good day out finishing fifth in the stage to improve his overall position to tenth. 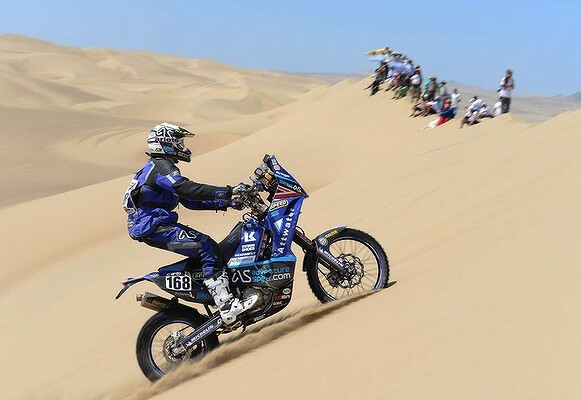 Stage Three, which took riders over some of the most spectacular sections of the desert of southern Peru shook up the standing order and saw Stage Two winner and overall leader Joan Barreda Bort slip back to overall eighteenth. It also saw the two KTM Factory Team’s support riders, Ruben Faria and Joan Pedrero, pay the price for being amongst the first to start this morning. Ruben Faria is now eleventh overall and teammate Joan Pedrero is now twenty-third. 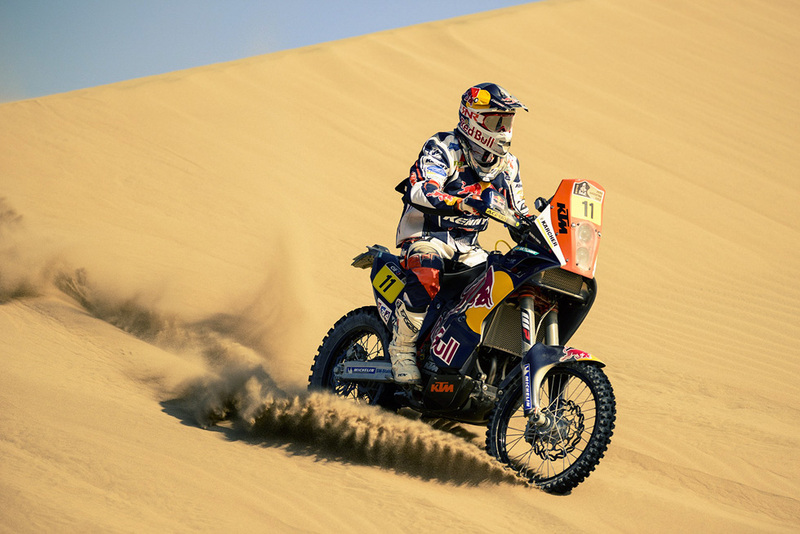 South African Darryl Curtis of the KTM Factory B Team fared better and is now thirteenth overall and his teammate Riaan Van Niekerk is twenty-fifth. Kurt Caselli, the factory team’s rookie entrant riding for the injured Marc Coma was a very creditable nineteenth place overall after Stage Three. 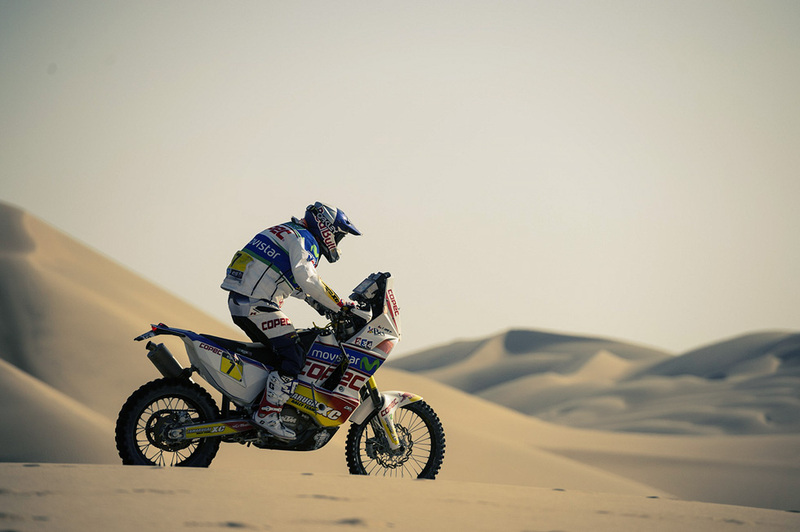 The highly experienced Despres, going for his fifth Dakar title continues to ride his skillful and tactical race and this paid off for him in Monday’s conditions. 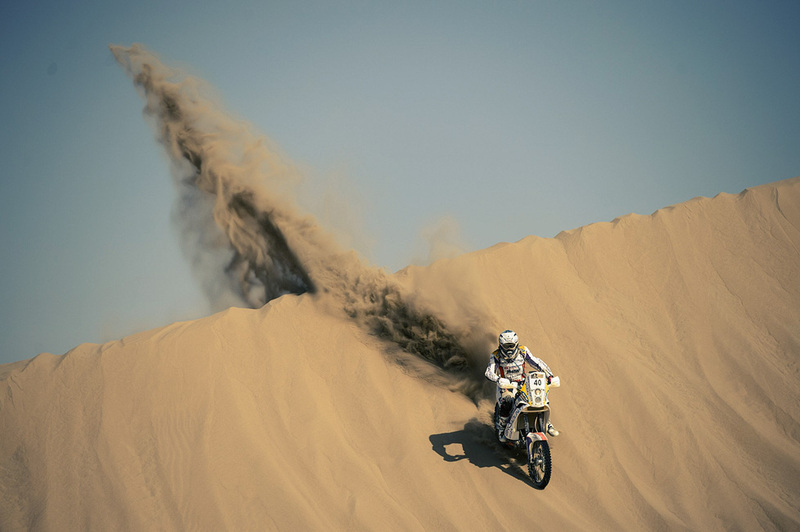 Riders had only a brief liaison before launching into the soft sand and unpredictable dunes that lived up to the organizers’ promise that the opening stages of this over 8000 km marathon would be very tough. 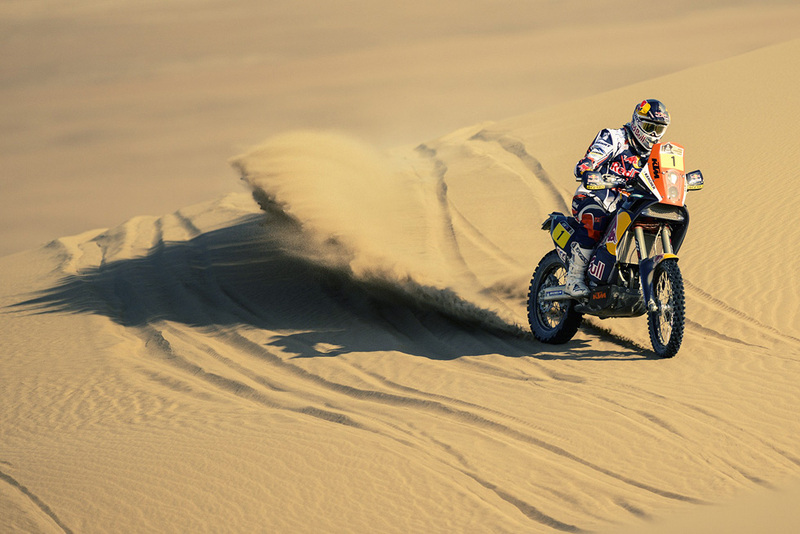 Riders tackled steeper and more difficult dunes in the first half of the day before entering rolling terrain in the second half of the stage. Factory team manager Alex Doringer said he was satisfied with his riders. “We now have Cyril in the overall lead and also Kuba Przygonski did a great job and made up a lot of places today. It was a tough day of navigating and this cost Ruben (Faria) and Joan (Pedrero) some places. 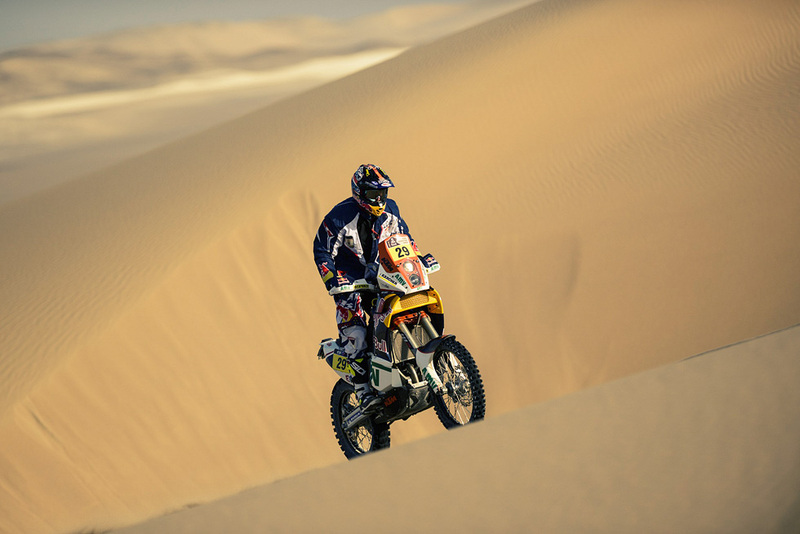 We are also very proud of Kurt Caselli and what he is doing in his first ever Dakar and Darryl Curtis on our B Team is doing a fantastic job. With all our riders in good shape and no technical problems we’re looking forward to another tough day tomorrow.” The KTM Factory riders are all on KTM 450 Rally machines. Stage Four takes riders from Nazca to Arequipa for a total distance of 343 km, 243 km of which is another difficult timed section. Big day today for all the riders and drivers…720km! That’s a mammoth day. Any news on the privateer Lyndon Poskitt competing on a KTM much appreciated too. Keep up the posts on any Dakar news…I need my Derestricted fix! Sorry, didnt see any photos yet on Poskitt, will keep my eyes open. 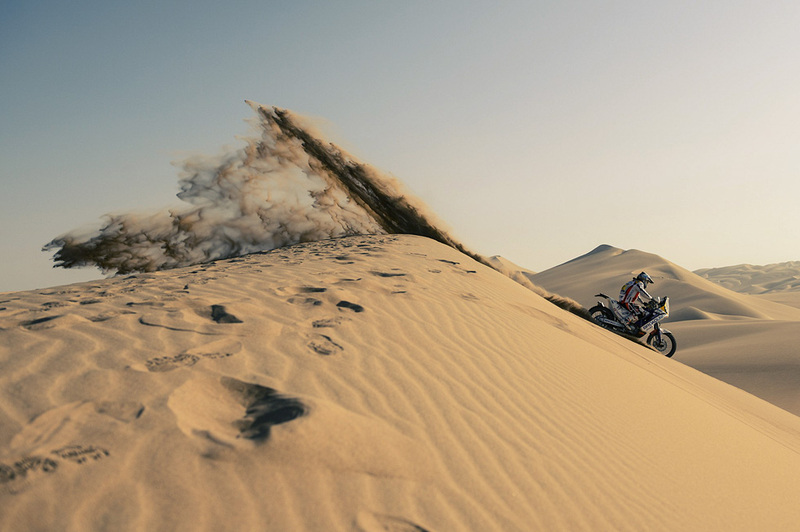 Love the Dakar photos, always so dramatic.